Established in Vancouver during 1995 as a non-profit charitable organization, the Association aims to provide service to the society and promote ethical and moral practices. These missions are based on the values of the Chinese deity and historic figure, Kuan Kung. To clarify, explain or interpret and to acquaint the general public with Chinese and Oriental culture as it pertains to Taoism. 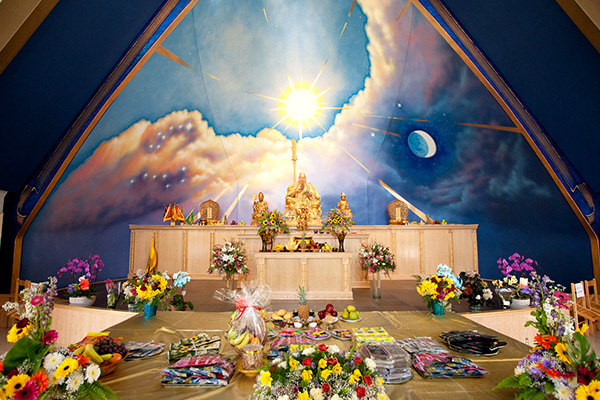 Canada’s Tian-Jin Temple is like a big family. The people here are friendly, caring and encouraging. They recognize the loyalty spirit of Kuan Kung, the compassion of Kuan Shi Yin, the relief of Ji Gong in helping the poor, the courage of Ne Zha and the perseverance of Di Zang. 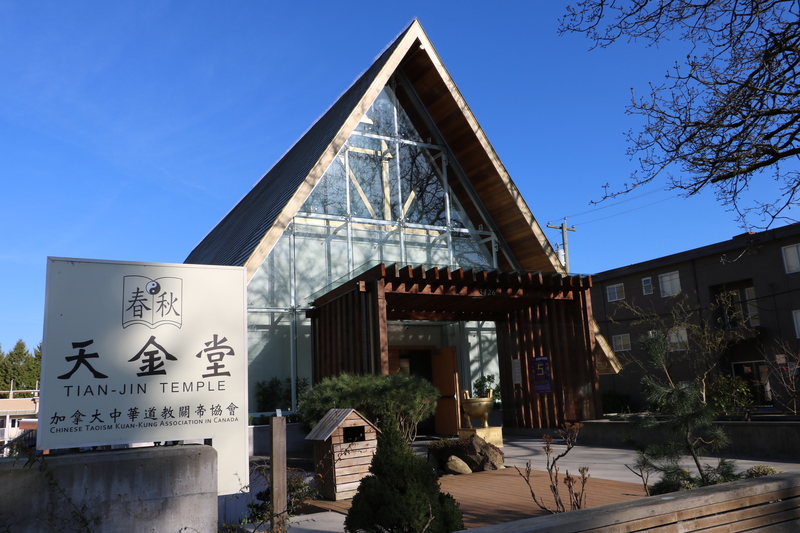 Tian-Jin Temple is a safe and fun space for activities like life education, spiritual guidance, charitable events, and religious ceremonies. In 2013, the Association then created TJ Living, a platform for person-to-person interactions and connections. TJ Living strives to inspire connections between talented and like-minded individuals so they have the opportunity, experience, and mentorship to work towards their goals. 3 main missions:"Saving, helping, and aiding those in need." Kuan Kung, with the honorific title of Martial Sage, shares the same status among Chinese with Confucius, who is the Literary Sage. Kuan Kung is venerated not for his exploits on the battlefield, but for his spirits: Fidelity, Righteousness, Benevolence, and Courage. Kuan Kung lived his life strictly abide by the Confucian moral principles, “San Gang Wu Chang”. Over the years the story and spirit of Kuan Kung have been passed down from generation to generation. Today, not only can people find Kuan Kung in the shrine of most industries, trades, and political centres through out China but also in Chinese communities across the world. Kuan Shi Yin Pu Sa, also known simply as Kuan Yin, represents great wisdom, mercy, and compassion. Her name translate to “Hearing the Cries of the world”. Kuan Yin manifests herself in any conceivable form to help beings overcome their illness and sufferings. Kuan Yin is very much beloved and her story is widely known among the Chinese. Ji Gong Chan shi, or Ji Gong, is both a Buddhist monk and a Taoist priest. Known for his wild and eccentric behaviour while maintaining his compassionate nature, Ji Gong became a folk hero in China and was later deified in the Taoist community often invoked by oracles to assist in worldly affairs. He teaches us to adopt a more relaxed and fun attitude towards life while at the same time being true to ourselves and following moral principles. Di Zang Wang Pu Sa, (Ksitigarbha), seen as the saviour of souls who have to suffer in the underworld, has vowed not to achieve Buddhahood until all hells are emptied. He is also called the Bodhisattva King Dizang of the Great Vow (Dayuan Pusa). This is a reference to his pledge of relieving all sentient beings of their suffering in the six realms. Di Zhang takes upon himself the fearful and difficult task of bringing relief and consolation to the suffering beings of hell. We respect and follow his great will to take actions in helping the community and practice good behaviour. Nezha the Third Prince, also called Tai Zi Ye or Marshal of the Central Altar, is a famous protection deity in both Buddhism and Taoism. As the student of Taiyi Zhenren, he is always at the forefront fighting off evil and helping the ones in need, and is a classic example of Kuan Kung spirits. He shows us that we could accomplish anything regardless of our age when we armed ourselves with good moral values and take action towards our goal. 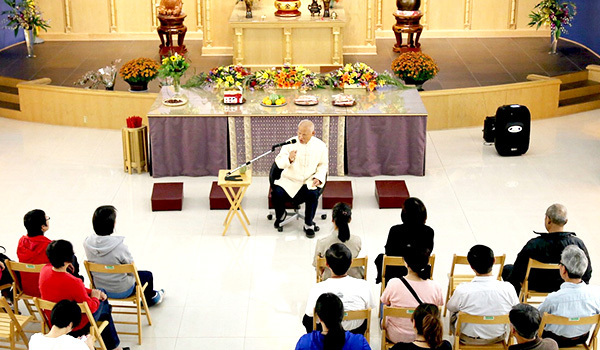 The association helps advocate the noble spirit and righteousness of Kuan Kung and to inspire others, as well as promote traditional culture. On May 21, 1995, the Taiwan Ministry of Internal Affairs approved the establishment at a meeting in Kaotan Village, Kaohsiung County. The association is committed to improving the social atmosphere, providing support, giving back to the society, and doing the best. 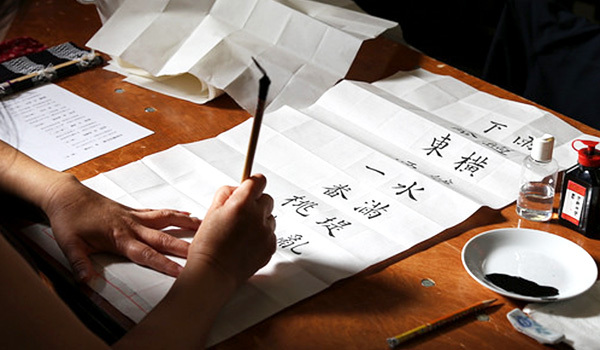 With keeping in line with Kuan Kung’s famous phrase, “read good books, say good things, do good deeds, and be a good person,” this promotes educational interest, advocates the rejuvenation of Chinese culture, respectful etiquette, obeying filial piety, respecting neighbors and promoting family harmony. All of which with a view to promote social goodness and build peace and harmony. 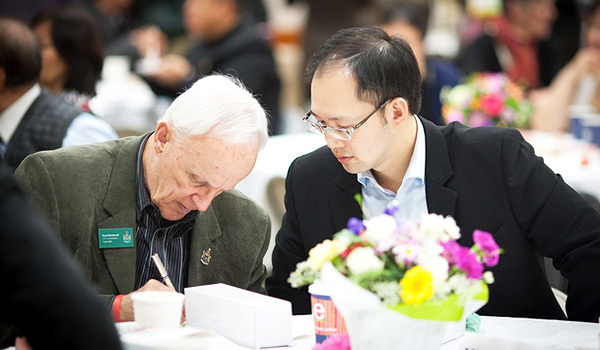 In order to optimize the organizational functions and to provide more services to the public, the Canadian branch was established in Vancouver on October 1995 as a social charity organization-The Chinese Taoist Kuan-Kung Association in Canada. Together, we work across the Pacific in promoting social care and public services. In 1996, Taipei Tian-Jin Temple founded the “China Association of Culture and Education Foundation”. It was then established in January 1997 by the Taipei County Government.